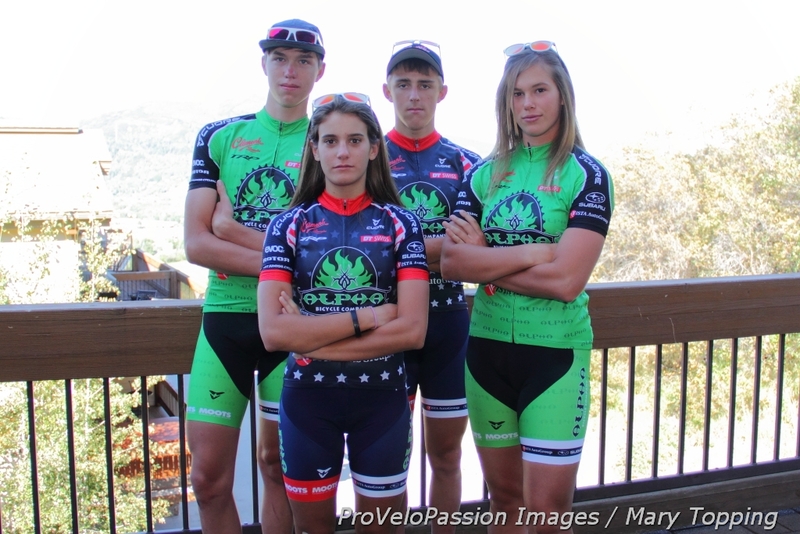 Games faces on Alpha Bicycle Company – Vista Subaru elite devo teammates Brannan Fix, Katie Clouse, Gage Hecht, and Ashley Zoerner (l to r). Evan Clouse is the fifth elite rider. 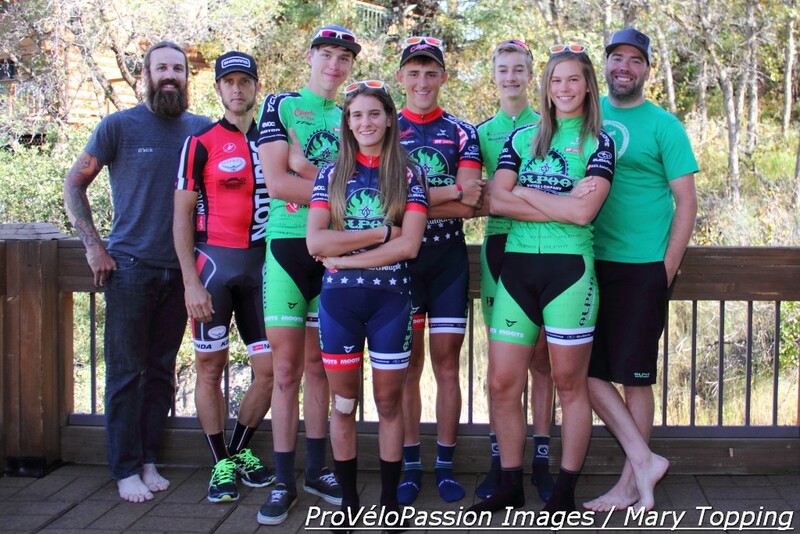 In mid-August Alpha Bicycle Company – Vista Subaru elite cyclocross team director Adam Rachubinski held a pre-season team building camp for the development dream squad. Based in Steamboat Springs, Colorado, activities included threshold fitness testing performed under the watchful eye of pro rider and coach Jake Wells, guidance on how to represent sponsors, and lots of riding. 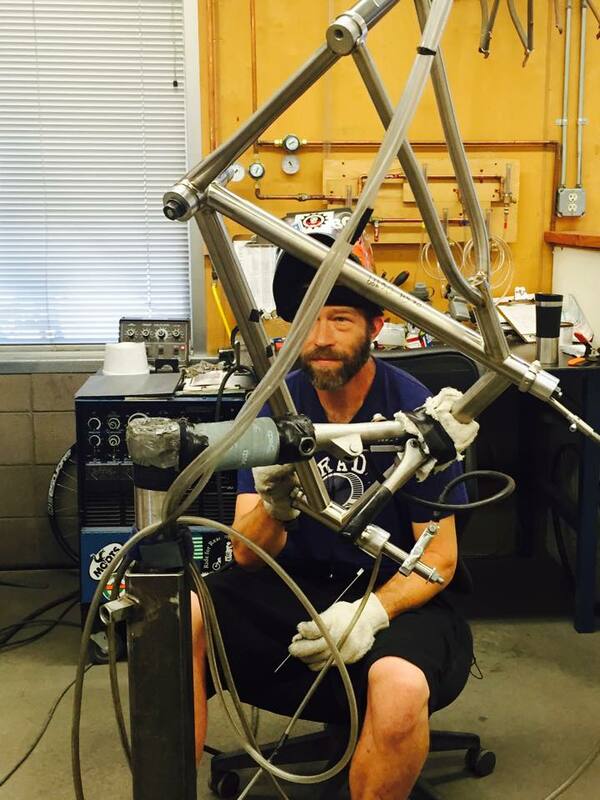 For a treat and to learn more about the team’s bike frame sponsor Moots, Rachubinski slotted in a tour of the Moots factory in Steamboat. There Ashley Zoerner came practically nose to nose with the silver-gray titanium tubes a welder began to fashion into a PSYCHLO X built specially for her. 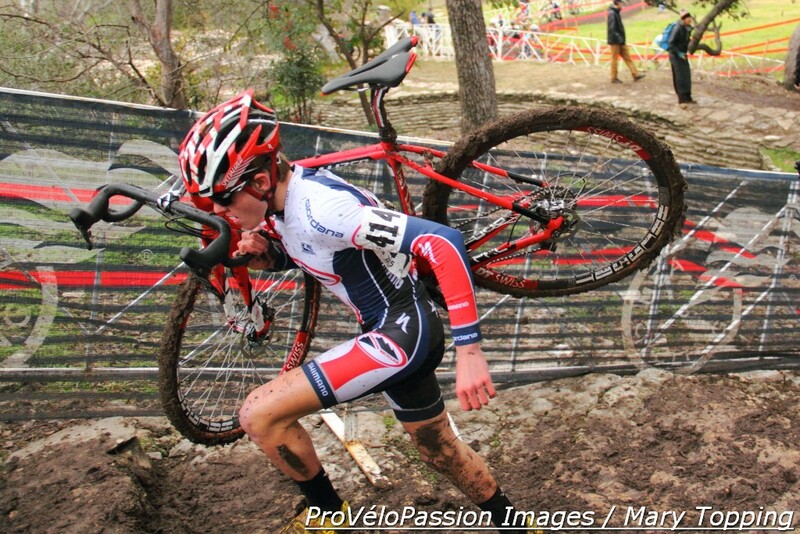 The elite ‘crossers will race on either PSYCHLO X RSL or PSYCHLO X frames. Moots is also providing titanium stems and seatposts. Also at the tour and camp were her elite teammates: junior national champions Gage Hecht and Katie Clouse, and U23 rider Brannan Fix who showed well at cyclocross worlds in Tabor. The fifth elite rider, Evan Clouse, was racing on European roads at that time with USA Cycling. Alpha Bicycle Company – Vista Subaru Cycling Team supports over thirty additional juniors, such as Drew Sotebeer who participated in the Steamboat camp. Skilled in the fundamentals and more, the elite riders can dismount and remount in their sleep (Hecht manages it on both sides of the bike). Wells, head coach for the camp, focused instead on handling skills, like carrying speed through technical areas. They practiced on single and double track and traced 50 miles of dirt and gravel byways featured in the annual Moots Colorado Ranch Rally. Maybe best of all, the riders got to know each other better. Katie Clouse for example, finds it hard to hold a straight face for a photo; Zoerner can teach her a thing or two on that score. Their game faces should prevail when the team makes its UCI race debut in Providence on October 3 and 4 at the KMC Cyclo-cross Festival. The elite riders will contest September local races in Colorado and Utah. Alpha Bicycle Company – Vista Subaru cyclocross elite team with: Drew Sotebeer (third from right), Alpha Bicycle Company’s Nic Handy (far left) and Adam Rachubinski (far right), and Jake Wells (second from left).